The history of Hatch Warren Running Club. 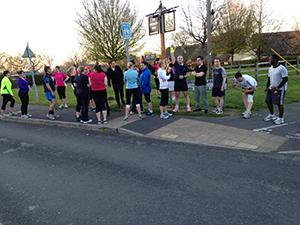 Hatch Warren Runners – How did it start? One Sunday evening Danielle looked across to Mark and said “I think we should start a running club, how could we do that?”, Mark said “OK, we could always setup a facebook group and see how it goes”. Mark and Danielle setup the facebook group and added all their friends that they knew enjoyed or wanted to start running. Their friends added their friends and soon they setup the first run. On the first run 10 people turned up, a whole mixture of abilities and some people ran/walked 3 miles and some ran 6 miles. 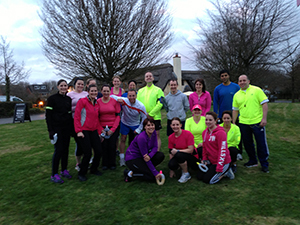 Within 2 months as word of mouth spread about the club they had 30 people turn up for the weekly run. Upon the advice of the Association of Running Clubs at the start of May they registered the club as an official running club. 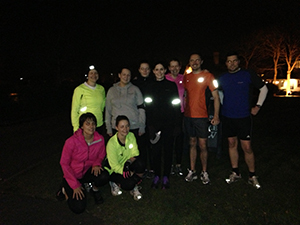 The club is now meeting twice a week for regular weekly runs and has over 250 members. We think the success of the club has been as a result of the community spirit at the centre of it. The members are naturally supportive and encouraging to all, the club is inclusive and accessible to all whatever the runners’ level or ability. Some images from the early days.